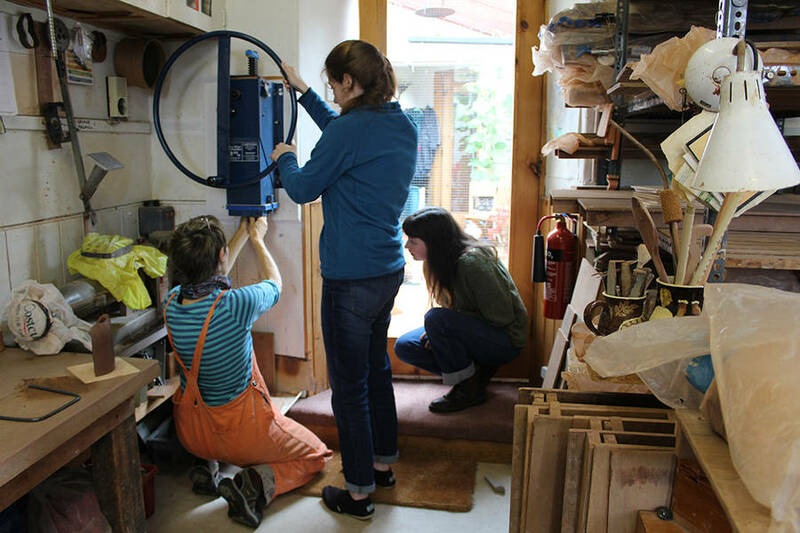 On tuesday we travelled to Christine Hester Smith's studio at Barnbarroch Pottery, near Kippford. She showed us how she uses an extruder to create the various shapes found in her ceramics and we practiced twisting and turning the clay as it came through the die (the stencil shape that the clay is pushed through). Christine cuts different shapes out of flat discs of aluminium to create her own dies and this makes her forms unique. We were shown how a bathroom sealant gun can be used as a small scale extruder and then cut an unique die shape of our own to use in a sealant gun. We attached extruded ribbons of clay onto the twisted vase forms we had made with Christine's large extruder to create strange wiggling vessels, full of fun and life.